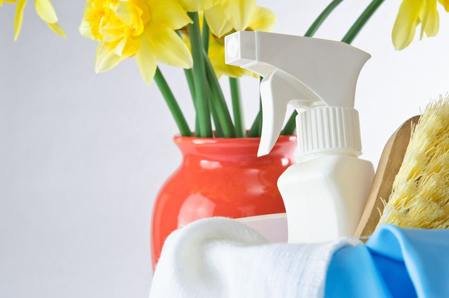 There is a lot of fear out there about harmful chemicals in our cleaning products. I would like to put those fear to rest, but unfortunately at least some of the concerns are justified. One way to avoid problems is to make the products our self; that way we know what is going into them. Soap and deodorant is a good place to start. These are things we apply directly to our skin, so keeping these chemical free is one way to prevent us from introducing chemicals directly into our bodies. There are many variations here, mostly to do with the added scent. For the most part you can just go with a scent you like. 500 g of glycerine soap base. Some crushed walnuts – one or two tablespoons. A flexible mould, such a silicone. Heat the glycerine indirectly by putting it in a metal container, and putting that container in boiling water. Add the other ingredients and pour into the mould. The soap can be used one it has cooled down. These vary slightly depending on whether the user is male or female. The basic recipe is the same, only we add slightly different essential oils. A few drops of an essential oil (optional). Lemongrass, thyme, lavender, tea tree oil, eucalyptus, rosemary, geranium are good options. Lemongrass seems best for men. If you like the deodorant as a solid stick, add a little less coconut oil. Women who habitually wear perfume or other scents might forgo the essential oil. Mixing different scents together is risky, as the chemicals can react and produce something unfavourable. A neutral, unscented deodorant is preferable when wearing perfume.